With more than 2,000 sessions dedicated to today’s most intriguing technology topics—from IoT to cognitive computing and, of course, all things cloud—IBM InterConnect 2017 was the place to be last week. 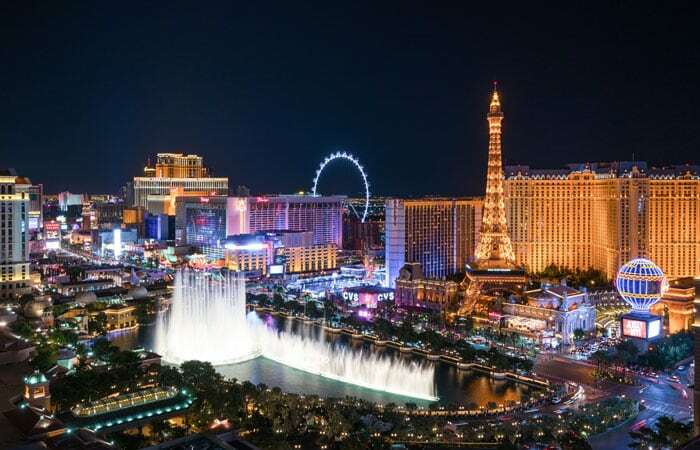 From Riverbed’s vantage point, deep in the halls of the Mandalay Bay Convention Center in Las Vegas, hybrid cloud for the remote office was the biggest conversation starter. This year, with more than 24,000 industry executives in attendance—and a record number of high-level meetings scheduled for our team—InterConnect 2017 ranked as one of Riverbed’s best shows ever. As cloud has evolved to redefine IT, InterConnect has truly emerged to become IBM’s premier conference for cloud education and skill development. Riverbed takes great pride in participating every year, demonstrating our alignment with IBM’s cloud strategy and our commitment to fueling business transformation for our customers and partners through effective cloud adoption. We continue to be inspired by the agenda that IBM brings to the table each year, and by the powerful partner ecosystem that comes together for this annual event. We teamed up with IBM throughout the conference to showcase how our joint solutions integrate and support the delivery of dynamic hybrid IT services to global locations. Our focus—and the message we reinforced all week—was that the time has arrived for the remote office to participate in the vast opportunities that make up the hybrid cloud ecosystem. These offices often face the challenges of aging infrastructure, inefficient operations, unreliable application performance and unsecured data. We were excited to have our moment in the spotlight at InterConnect to explain how our Cloud-Ready Branch Office solutions offer the tools to connect, monitor and optimize application performance in the remote office. Also, many customers who came into the booth were pleasantly surprised at the expanded Riverbed portfolio. There were a lot of discussions around SteelFusion and SteelCentral Aternity. And we noticed that SteelCentral really resonated with the InterConnect audience. Backed by nine years as a leader in the Garner Magic Quadrant for WAN optimization, it was also no surprise that Riverbed’s SteelHead solutions generated a great deal of attention. A highlight of the show for me personally was joining forces with IBM for a breakout session on helping remote offices overcome the IT roadblocks they face. My presentation provided a playbook to attendees for transforming distributed branch IT to a more simplified, centralized and cost-effective model. For the Riverbed team overall, one of the top takeaways was the elevated importance of software-defined networking (SDN) and network function virtualization (NFV) as a business priority for 2017. The message was also loud and clear that cloud integration continues to be of high importance to our customers and partners. If you weren’t able to attend the conference, don’t worry. Check out the conference hashtag on Twitter #IBMInterConnect for a window into all the big news that came out of the show. I can’t wait to see what IBM has in store for next year. With the pace at which our industry advances, no doubt the agenda will be different and exciting.